We will be celebrating Ganesh Chaturthi / Vinayaka Chaturthi on September 1st this year. Just as last year, I thought I should update the recipe list and share the previous years celebrations. I thought I should post some recipes that were waiting to be posted. We normally make Sesame laddos. We also made Chikki with them for last year. Sesame Seeds Jaggary Brittles | Ellu Chikki. Only we shaped them as laddos. Wash and dry the black Sesame seeds in shade. Then dry roast them for few seconds. Make sure you don’t do it for more than few minutes, this is just to make sure it’s dry. Melt the jaggary in a bowl, remove impuries if any. Bring to boil and continue cooking till you get a thread consistency. Add the roasted sesame to the bowl and stir well. It will start to form a thick mix, remove down. Have a bowl of water near by, quickly take small balls of the mix and form laddos. Please take care as it will be hot, you can allow it to cool for sometime. asking me what I plan to make new for this year along with most of the above. Above all we might take the kids to get Ganesh Idol home, so it will be great fun! Happy Ganesh Chaturthi, and enjoy the festival! The laddoos look delicious…very tempting! Oh wow! 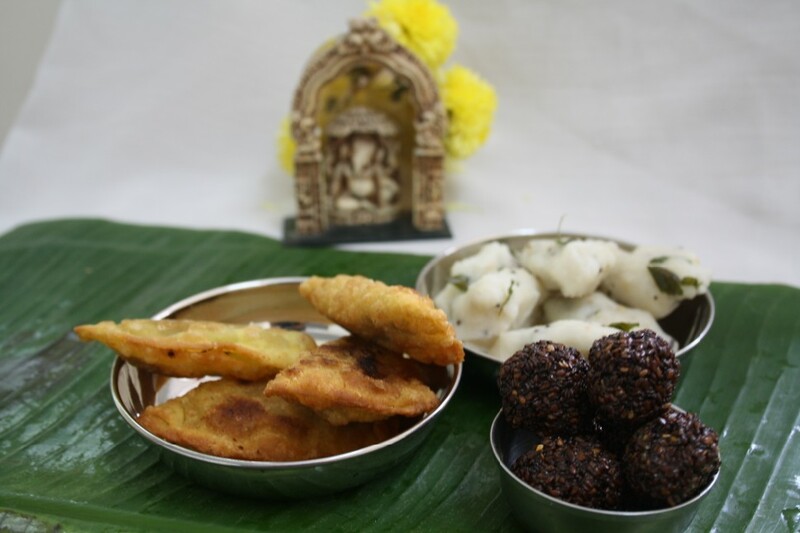 What an array of Vinayaka Chaturthi dishes. Lovely! So tempting laddoos,happy ganesh chathurthi Valli.. Check out Ganesh Chaturthi special Ukadiche Modak recipe on my blog. http://keephappybelly.blogspot.com .. and let me know how did you like it? Thanks! 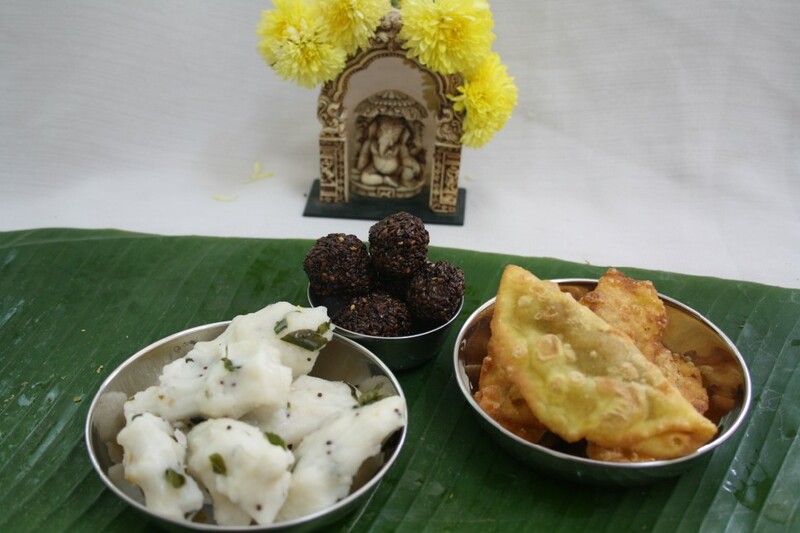 Happy Ganesh chathurthi and the ellu chikki is very delicious! !